Earlier this month, the U.S. Department of Labor announced a proposal to set the salary threshold under which American workers are entitled to overtime pay to about $35,300 a year. While the Trump administration is touting the rule as a way to bring “common sense, consistency, and higher wages to working Americans,” the adoption of this new rule would leave behind millions of working people who would have gotten overtime protections under the 2016 guidelines by the Obama administration. Federal law requires that people working more than 40 hours a week be paid 1.5 times their pay rate for the extra hours, but allows employers to exempt salaried workers who make above a certain threshold and are deemed to have executive, administrative, or professional duties. The law is supposed to protect workers with little bargaining power—think of modestly paid frontline supervisors at fast-food restaurants or discount stores—from being forced to work unpaid overtime. The problem is the overtime salary threshold has been frozen at less than $24,000 for years, causing the share of salaried workers guaranteed overtime pay to plummet from 6 in 10 (63 percent) in 1975 to less than 1 in 10 (7 percent) today. The 2016 rule, which was held up in court following a challenge by business trade associations and Republican-led states, would have increased the threshold to about $900 per week—$47,500 for a full-year worker—and then indexed it to wage growth going forward. That rule was the result of an exhaustive rulemaking process spanning more than two years. During this period, the Department of Labor met with more than 200 organizations on all sides of the issue and reviewed and incorporated input from more than a quarter million public comments. Now, the Trump administration is rolling back that important protection for salaried workers who work more than 40 hours a week. By the administration’s own estimates, at least four million fewer workers across the country will ultimately receive overtime protections under their watered-down substitute. They can be made to work 50, 60, or even 70 hours a week, missing time with their families and receiving no extra pay for putting in extra hours. The Trump administration’s new overtime rule would leave behind 120,000 workers in Wisconsin by 2020, when the Obama rule would have protected working people being paid up to $51,000, the Economic Policy Institute found. There is something states can do to protect workers from the Trump overtime pay rollback. 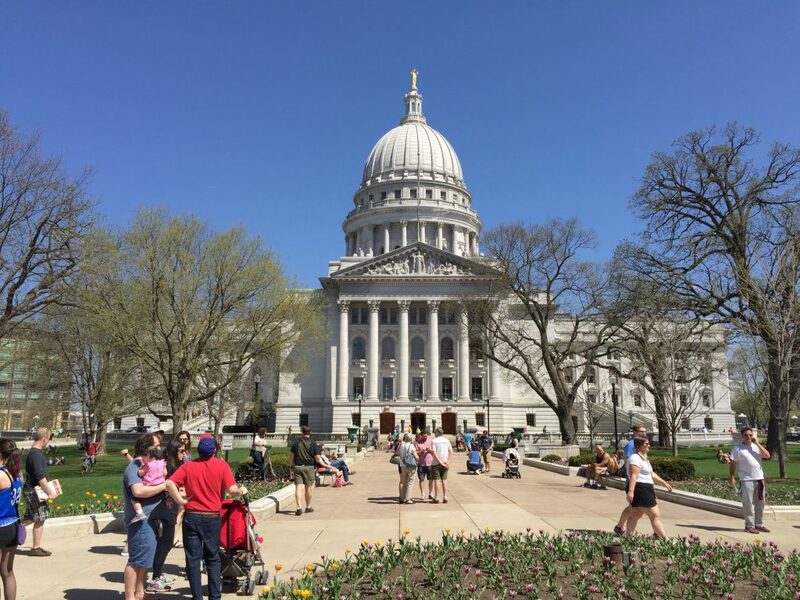 In Wisconsin and in some other states, the governor can raise the overtime salary threshold by modifying administrative code rather than changing state statutes. The legislature could still block the changes, but it would be a starting place for a conversation around improving worker protections. Labor departments in California and New York have already raised their states’ overtime salary thresholds significantly; Washington and Pennsylvania’s labor agencies are in the process of doing the same. Other proposals to raise or review state overtime salary thresholds are pending in Maine, Massachusetts, Michigan, Maryland and Colorado. Will Wisconsin join this group of states? The only way to protect workers being left behind by the Trump administration is to set Wisconsin’s overtime threshold much higher and in line with the 2016 rule adopted by the Obama administration.